In the valleys of the Peruvian Andes where it is grown at 3,000 m, the ear develops an intense color and distinctive flavor that makes it special and unique, this is due to factors such as climate, soil and / or water. The anthocyanins found in Purple Corn can promote blood circulation, stabilizing and protecting blood vessels and capillaries in general and in particular oxidative damage, improving microcirculation. The results of several epi vx demiological studies indicate that regular consumption of foods rich in polyphenolic compounds is associated with a reduced risk of developing cardiovascular disease. Anthocyanins found in Purple Corn can stimulate the regeneration of connective tissue and promote collagen formation. When the Purple Corn is added to the diet, you can suppress the body’s enzymes that help synthesize fatty acids, which may be beneficial in preventing diabetes and obesity. Recently it has been reported that the material obtained from dwelling Purple corn can reduce colon carcinogenesis. It is also said that this pigment has a higher antioxidant capacity and radical anti kinetics than blueberries and higher or similar amount in antocianínico and phenolic content. In Peru, purple corn is grown extensively and is used for the production of soft drinks and desserts, and even culinary preparations thus has become a valuable ingredient for the growing Peruvian cuisine. Source: Journal of Nutritional Science and Vitaminology, February, 2007.Food Chemistry and Toxicology, February, 2008. Sacha Inchi is a native seed of the peruvian Amazon, which was known by the natives for thousands of years. After the conquest of the civilization of the Chanca, the Incas began to represent in their ceramic fruit of the knowledge inherited from the preceding tribe. This oilseed is also known as the Inca peanuts. Sacha inchi oil or oil also known Inca or Inca inchi is richer in unsaturated (93%), of great importance for Nutrition for its high content of essential fatty acids (84%) fatty acids. With 48% of Omega 3 helps to balance cholesterol, leading cause of death worldwide. In Peru grows wild in the departments of San Martin, Ucayali, Amazonas, Mother of God, Junín and Loreto. Just as the Sacha Inchi tenemosmuchos other superfoods with large proteinaceous values​​, rich in vitamins and healthy for everyone. Each week we will be releasing more of our Peruvian Superfoods !!! Rinse dry quinoa well using a mesh sieve. Place quinoa in a dry skillet over medium heat (it’s okay if it’s still wet). Stir occasionally until quinoa is dry, golden brown and smells toasted. Set aside to cool. Once quinoa toasted quinoa is cooled, transfer it to a coffee grinder (you will need to do it in several small batches). Grind until the quinoa is a fine powder, like flour. Sift the resulting quinoa flour to remove any large pieces, and measure out 2 cups. Heat oven to 375°F. Prepare 2 muffin pans with 18 paper liners or spray with canola oil. Slice bananas and add them to a food processor or blender. Blend until smooth. Add the pureed bananas, cooked quinoa, yogurt, oil, vanilla, eggs and brown sugar to a medium bowl. Stir together until smooth. Mix together quinoa flour, baking powder, baking soda and salt in a large bowl. Add wet ingredients and stir together until just mixed. Fold in the butterscotch chips. Fill muffin cups 2/3 full with batter. Bake for 15-20 minutes or until a toothpick inserted into a muffin comes out clean. Remove from muffin cups and cool on a wire rack. Store in an airtight container or bag for 2-3 days at room temperature or for 2-3 months in the freezer. Soursop or Graviola fruit tree is a miraculous product to kill cancer cells. Why are we not aware of it? Because there are organizations interested in finding a synthetic version, which allows them to make fabulous profits. So from now on you can help a friend in need by letting him know that you should drink soursop juice to prevent disease. It tastes nice. And of course it does not produce the horrific effects of chemotherapy. And it has the potential to do so, soursop plant a tree in your backyard. 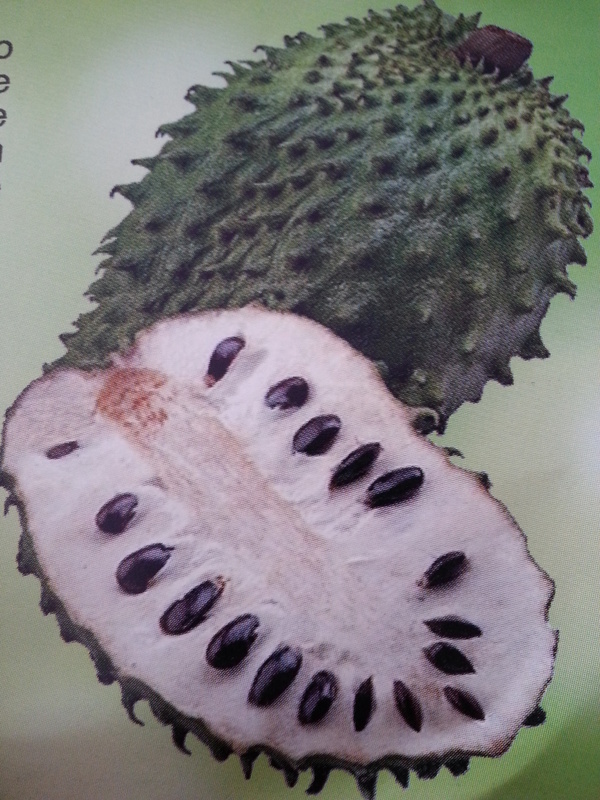 The next time you want to drink a juice, order soursop. The interest of this plant is due to its strong anti-cancer effects. And although he attributed many more properties, the most interesting is the effect it produces on tumors. This plant is a proven cancer remedy for cancers of all types. Some argue that it is useful in all variants of cancer. It is considered also as an anti-microbial agent wide spectrum against bacterial and fungal infections; is effective against internal parasites and worms, regulates high blood pressure and antidepressant, combats stress and nervous disorders. Preheat oven to 350 degrees. Line a 12 cup muffin tin with paper baking cups. Spray lightly with olive oil spray. If using flax eggs, combine 2 tablespoons ground flax seeds plus 6 tablespoons warm water. In a large bowl, sift together self rising flour, quinoa flour, baking powder and sea salt. Stir in cooked quinoa. In a separate bowl whisk together coconut palm sugar, maple syrup, apple sauce, melted coconut oil, milk, yogurt, (flax) eggs and vanilla extract. Add wet ingredient to the dry ingredients and stir until just combined. Stir in chocolate chips. Using a measuring spoon or ice cream scoop, fill the muffin cups. Bake until golden brown, about 30 to 35 minutes. Let cool in the pan on a rack for 20 minutes. Separate tops with a knife if necessary. Invert and remove muffins from the pan. Shipments of Peruvian quinoa market in the United States totaled $ 50 million between January and July this year, an amount that shows an increase of 239% from the same period in 2013. Minister of Foreign Trade, Magali Silva, said that with the result, the north country ranks as the largest buyer of Andean grain from a list of 45 international markets. Silva said his office has been making intense commercial promotion of Peruvian quinoa both at home and abroad. He also noted the need for producers and exporters of quinoa consider “existing regulations in sanitary and phytosanitary matters demanded by the American market” to strengthen the product positioning in this square. 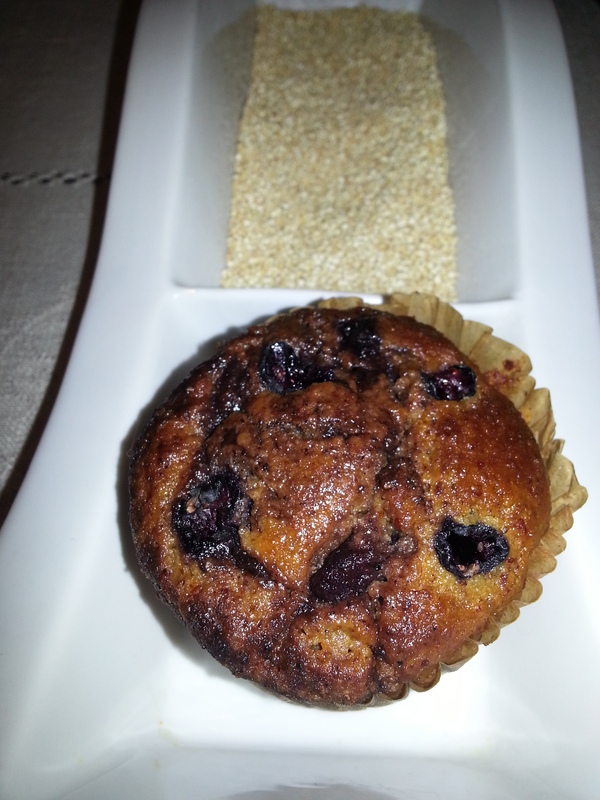 Given the significance of the quinoa in your diet, the Aymara created in his honor a very special dance, Puli. José Portugal Catacora explains in his book “Dances and Dances Altiplano” to Puli comes from the Aymara word Pula, in Castilian means cluster and cluster referred to quinoa.